Dr. Robert Burns has been selected to be the next Dean of Extension for the University of Tennessee. 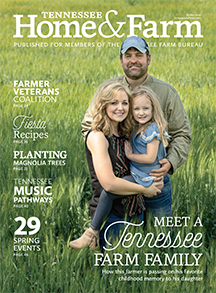 Joe and Rebecca Smith of Overton County have been named the Tennessee Farm Bureau’s Young Farmer & Rancher Achievement winners for 2017. Lawrence County’s Matt Niswander gets the keys to his new truck for winning this year’s American Farm Bureau YF&R Discussion Meet. 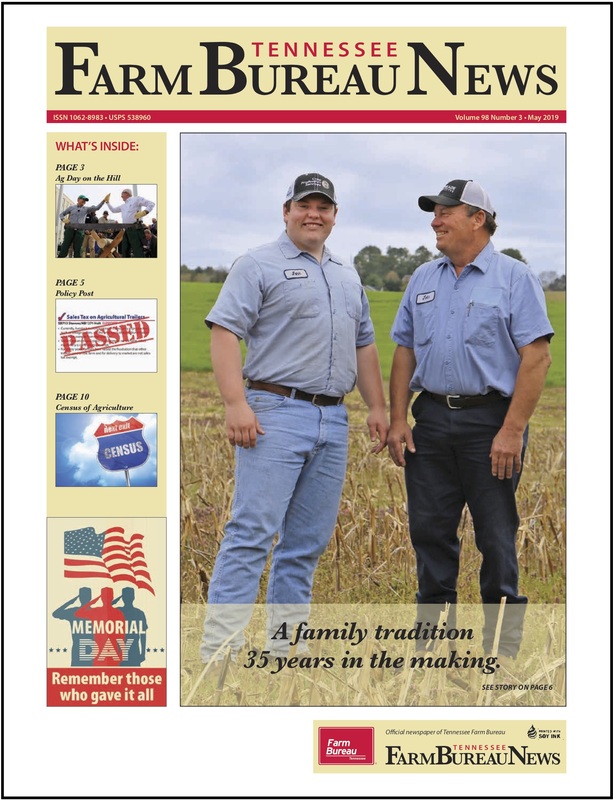 Young farmers like Obion County’s Clint Workman are hopeful that they can carry on our most important industry, agriculture. Philip Brasher is a senior editor for Agri Pulse in Washington DC and has been reporting on food and agriculture policy for 18 years. Today’s farmers use more technology and are more precise than ever before. At a recent Ag in the Classroom workshop in Spring Hill, Dr. Craig Wilson was a featured presenter. Avoid 4th of July grilling goofs with these tips from USDA. The Tennessee Junior Livestock Expos have been held recently, with banner entries and great shows. Reports of Dicamba drift are up this year across the state, and educating both farmers and homeowners about this issue may help. The Farm Service Agency is encouraging ag producers to participate in the County Committee nomination process that has begun and runs through August 1st. There are now four finalist being interviewed for the job of Dean of the University of Tennessee Extension. Getting today’s students to understand where their food comes is the mission of the National Ag in the Classroom Organization. Tyson supports all community efforts to end hunger. What began as a way to give rural youth new agricultural skills has grown into Tennessee’s larges youth development organization. With people today so far removed from the farm, teaching our students where their food comes from is more important than ever. The American Farm Bureau Federation expressed confidence agriculture lawmakers will stand up to proposed budget cuts by President Donald Trump. Memorial Day is the unofficial start to Summer and that means grilling season is here. The American Farm Bureau Federation is looking forward to the renegotiation of NAFTA. The prospects for the school of Agribusiness and Agriscience at Middle Tennessee State University continue to improve. Allie Jo Shankle, from Henry County High School, and Ahmon Watkins, from Oakland High School, were recently elected as Tennessee FFA State Officers. Third graders in one of the fastest growing cities in the south had their best field trip of the year to the farm. Officials with the Tennessee Department of Agriculture took part in a UAV demonstration to see how they could help with wildfires. Farm prices are most noticed, yet there are other indicators to consider when it comes to the current economic health of farmers and ranchers. AC Unit Ready for Summer? You may be really ready for summer, but is your home AC unit ready? The Tennessee General Assembly has passed legislation that clarifies a consistent and legal definition of “farm property” and agriculture for property assessment purposes. Secretary of Agriculture Sonny Perdue is making some significant changes to what our kids will be eating at school next year. A beef producer expanding into value-added production and marketing opportunities may have some challenges starting out. Many Tennessee row crop farmers statewide have been once again halted by these scattered storms and rain showers over the past week. Some rural areas are still suffering from a shortage of livestock animal vets. What’s being done about it? Erin Bacon of Jefferson County was a multiple winner at this year’s state FFA convention. Catherine Turner of the Covington FFA Chapter was named Tennessee’s Star Farmer during the 89th Tennessee FFA Convention. HPAI Control Zone Released in Lincoln Co. Finally for the past few days, farmers across Tennessee have had some good planting weather. The American Farm Bureau Federation told lawmakers agriculture needs a simple tax code. Carroll County farmer Hal Eason says everybody needs to think about safety, constantly. After a tractor accident in 2014, he’s thankful to be alive. A key vote on the floor of the state senate this week will put rural Tennesseans closer to broadband access than ever before. At the close of the 89th Tennessee FFA Convention, 8 new state officers were selected and installed for 2017-2018. A unique experience for Tennessee 4-H’ers this week at the state capitol in Nashville for their 70th annual 4-H Congress. In light of recent avian influenza outbreaks here in Tennessee, animal health officials are urging poultry producers to beef up biosecurity. Tennessee farmers are very concerned over the past two days hard freezes on crops like strawberries and peaches. It would be a lot easier to protect people and poultry from flu viruses if those viruses weren’t changing all the time. Low Path Avian Influenza Detected in Giles Co.
State officials have now confirmed low pathogenic avian influenza in a broiler breeder flock in Giles County.